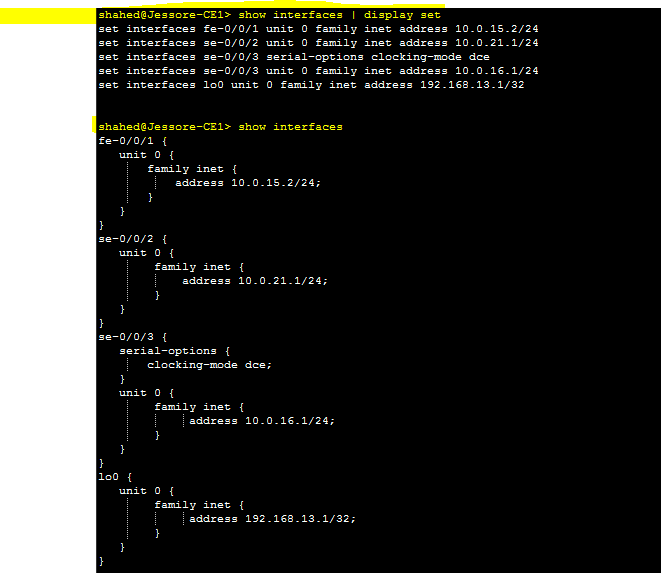 Today i will discuss how to use Juniper Show Configuration display set command. You have a copy of a JUNOS router configuration or you need to duplicate a router configuration on another router and you want to know the commands to use to create the configuration. The show | display set command is a handy way to reverse-engineer a router configuration when you are trying to duplicate portions of a configuration on many routers or when you need to write up configuration, monitoring, or troubleshooting procedures for your network operations staff. This command is especially useful if the configuration is complex and when setting it up involves many long commands and lots of typing.